Have you ever seen the little picture below? They seem to be everywhere these days. I’ve seen them on TV, ads, t-shirts, and even tattoos. So, what is a QR code? What’s the purpose of them? 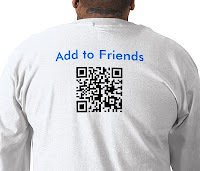 QR, or Quick Response, codes are complex 2d barcodes, similarly to the one you see on food labels. They provide quick access of information. Where the barcode can only provide serial numbers, QR code takes it a step farther by delivering complex text or strings. Accessing the information is simple: download a QR code scanner app for Android/iOS and “scan” the QR code using the camera on the device. The app should decrypt the data automatically and then typically brings up the app/browser for the corresponding data type. Test it out by scanning the QR code below on your tablet or phone and you will see that it brings up the app market for the AndroidSim Mobile App. 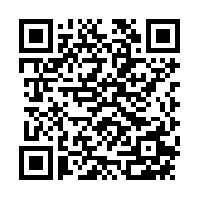 Creating a QR code is even simpler: go to qrstuff, select the data type, insert the text or link, and then copy the resulting image to your PC. The image can be placed essentially anywhere one can imagine. 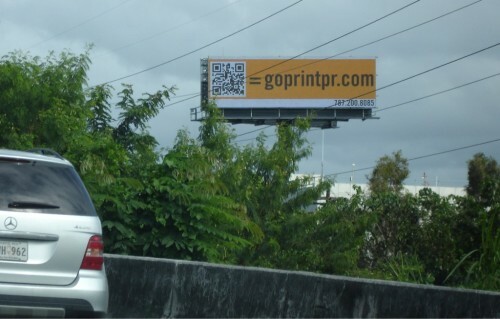 Check out the pics below for interesting places people have placed QR codes.